When you’re done sweating off those extra kilos or adding that muscle mass, you need a calorie-filled meal. There are many theories floating around, concerning the right type of meal after a workout. Too often, we get trapped into the conundrum of the idea post-workout meal. Here’s what you shouldn’t grab a bite of after a gym session! These two green vegetables are the poster child for nutritious value. Well, even perfect nutritious value has a time and place. Salad and kale are simply too rich in fiber to be able to help your organism. That fiber will cause bloating and cramping. We’ve already covered the bad sides of pastry and chocolate. Well, candy falls into the same category. Basically, eating anything that causes energy spikes is bad and detrimental. Aside from that, candy contains no nutrients whatsoever. Think about it for a second. Some people just get it all wrong. Energy bars aren’t a nutritious post-workout meal. They are mean to provide energy before working out. Just look at the size of them! How can it be possible to get a sufficient amount of protein just from that one bar? Yes, this drink is very healthy and should be drunk as often as possible. However, one detail that you don’t need a lot is – it’s a laxative. Don’t fall to a temptation to drink it. You don’t need to go to the bathroom and lose valuable nutrients. It’ a shame that we don’t get to eat these incredibly healthy foods. Black beans are surely our biggest regret on this list. Despite their tastiness, black beans simply contain too much fiber. This is bad for digestive purposes. Allow us to explain. Vegetables are indeed incredibly healthy on their own. But alone, they contain almost no calories at all. Because of this, they’re not recommended as a post-workout meal. Instead, use them as a side dish alongside some meat. You can also dip them in yogurt. We know, we know, those friend wings that your wife makes must be delicious. But hear us out first. Ingesting fried foods with quickly kill your appetite due to the high amounts of fats. If you do eat fried foods, make sure it’s in small amounts. They contain way to much health to be eaten in excess. Eating crisps is a big no-no after a workout. Your body will crave salt due to the lost potassium while being active. You need to recover potassium quickly. Salty foods only lower it down, instead of causing them to rise up. It’s high in calories and tasty, so what’s the problem? The problem lies in the first part of the previous sentence. Everyone can eat a standard pizza that can contain up to 1500 calories. It won’t make you full, but it’s full of hard-digesting processed food. Pass. They are just the worst possible solution. Your body may crave something sweet after a workout, but fizzy drinks aren’t the solution. They will only cause more thirst and further deteriorate your dental health. If you want something sweet, try chocolate milk. At first sight, chocolate may just be the ideal solution to your craving. But it’s not! It’s overabundant with calories and can cause many skin problems due to sugar in it. You need protein and chocolate simply doesn’t have enough to refuel you. What goes for chocolate, goes for pastries too. They are just too high in calories. What’s even worse is that they contain a high amount of fats. These bad fatty acids may clog your arteries and cause heart problems over time. Many popular energy drinks market their products alongside athletes and sport events. However, they aren’t made for that. It’s okay if you need to pull off an all-nighter with your exam papers, but after a workout – no! Simply not much nutrients nor health benefits. And who would want that much sugar? Nobody is disputing their health benefits, but they just aren’t meant to be eaten after a workout. Since they’re too high in fiber, they may cause bloating. 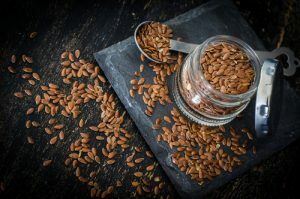 Some hours before or after a workout seems like the ideal time for eating this delicious type of seed. If you’ve ever worked out, you know the drill. Spicy food will disrupt the already chaotic state of the organism. By causing heartburn and indigestion, your nutrients won’t get absorbed as they should. If you’re looking for those gains, that may be a problem. Micronutrients like vitamins and minerals are crucial to a well functioning organism. However, there are bigger fish to fry after completing a killer workout. You need something that’s high in calories and low in fats. Avocado simply doesn’t fit the bill. Everyone is praising granola bars as some sort of healthy superfood. They’re full of unhealthy ingredients like sodium, corn syrup and other compounds. They have no nutritional level and won’t give you the macronutrients you need. Eat a piece of fruit if you want. We’re not generalizing here. Cheese is full of protein and very healthy. However, if you eat too much of it, you risk ingesting too much fatty acids. Find a healthier alternative, or just eat it in small amounts. A win-win situation for your taste buds and your gains. While they may be tasty, nothing is unhealthier than processed foods. In order to fully harness the magic of the workout meal, opt for red meat or lean fish. There are many alternatives that are low in fat and sodium. You simply don’t need processed meat. Meals such as stakes may be full of protein, but they’re not so beneficial. The reason is their size and a difficulty to digest them properly. Your esophagus will be too busy dissolving your food and your intestines won’t be able to absorb the protein so easily. Yes, they do contain a lot of calories and protein. However, that doesn’t mean that they should be your go to meal in a time of need. Hamburgers and cheeseburgers are full of sodium, which will cause a further imbalance of electrolytes within your body. Try to avoid them. Although a good plate of spaghetti Bolognese seems like a dream meal, it’s not. Any form of pasta is filled with simple carbohydrates. They are difficult to digest and immediately slow down your metabolism. By eating pasta, you waste a perfectly good workout beforehand. Let’s face it, we all love our food. There is no better sight than seeing a full fridge. Sometimes, we are inclined to stuff it with everything we’ve got. Unfortunately, such an action can yield completely opposite results. To avoid putting all the wrong foods in the fridge, we’ve decided to lend you a hand. We’ve compiled a list of the 52 foods that have the fridge as a big no-no. The contents may surprise you. Although most of us put our eggs in the fridge, there is actually no need to. You can keep them at a room temperature and they won’t spoil. The problem in this case is the flavor. Eggs from a refrigerator differ a lot from the natural taste. If you want your eggs to taste unspoiled and unblemished, keep them in a dry, cool place. There is one simple trick when trying to preserve salad. It can be completely fine for long periods of time, but only if it had oil or vinegar in it. Furthermore, salad dressing may contract a bad smell if they are exposed to extreme cold. However, some salads indeed need refrigeration. These are usually ones based on mayo or yogurt. Many of us will agree that bananas are amongst the tastiest fruit out there. Also, we love to have the possibility of having a few of them in the vicinity. Therefore, putting them in a refrigerator is a solution that comes to our minds first. The result will be faster rotting due to the cold temperature. It will decelerate the ripening procedure. Potatoes are amongst the most used vegetables. They go perfectly with every dish and having them around is an amazing benefit to your cooking. Potatoes require cool and dark places, so the refrigerator is not an option. Instead, try putting them in a box, away from direct sunlight. If you don’t want fungal growth on your onions, keep them away from the refrigerator along with the plastic bags. In this situation, onions can start decaying as they soften over time. Thus, just like potatoes, an uncovered box is an ideal place for them if they are unpeeled. The presence of air will be helpful and it will ensure that they are fresh and ready to use anytime. We think that we can all agree that dried bread is not a desirable situation. If you want to prevent this from happening, don’t put it in the fridge. Besides the dryness, you will make it become difficult to chew. Unless it’s an already made sandwich, keep it on your counter. You won’t have to worry about stale bread. In order to have that much needed Monday morning coffee, you have to keep your coffee beans where they belong. They are in need of dry spots where they can stay for months. If you don’t want to use them all at once, a good solution can be freezing the beans and saving them for later. That way you will preserve their freshness and tasty flavor. To stop tomatoes from losing their flavor, don’t put them in the fridge. It will keep them from ripening which causes them to be tasteless. Having a basket of tomatoes will keep their membranes from breaking down. One extra benefit of placing them in a cold place is that they won’t lose their texture. The favorite natural sweetener in the world, honey, has found the way to stay good forever in our homes. There are no benefits of putting it in the fridge. That will only make it hard to scoop and it will be useless. Hence, make sure to place it somewhere where it’s sealed good. With that solution, you don’t have to worry about it becoming impossible to scoop. Melons are really a breath of fresh air during hot summer days. When you buy them, there is no need to put them in the fridge. To keep their antioxidant and beta-carotene content high, having them at room temperature is an ideal choice. As soon as you open them up, cover them and put them in the refrigerator. Basements are the perfect option that you are looking for to put pumpkins away. They need to have a good ventilated space and the fridge is not that for sure. Therefore, there is no sense in putting them anywhere but in a dry and dark place. To preserve amazing benefits that olive oil contains, you have to make sure that you put it in the right place. Placing it in the fridge will make it condensed and you will possibly have a butter looking oil. So, don’t do that. Find a dark and cool place, which is the best for any oil. Using basil is only good until it wilts. It’s also very smell-sensitive. This means that other foods can interfere with its aroma easily. You wouldn’t put flowers inside the fridge, now would you? Of course not. The same goes for basil, as it is a plant too. If you want to have basil for longer periods of time, just branch it and freeze it. All of these fruits have one thing in common – they can lose all of their nutrients in extremely cold conditions. This is why it’s important to keep them out of the fridge. They need cool temperatures, not ice age cold ones. In order to preserve these fruits and keep them from ripening, the counter will do just fine. That way, you can have them whenever you want. Did you know that some foods are actually preserved with the help of pickles? With that being said, it’s pointless to keep them in the fridge. They are a natural preservative and only require a closed out, cool environment. Pickles older than five years kept in cool places are no different from their counterparts out of the fridge. Consuming avocados is recommended for health maintenance. The worst thing you can do is to put them in your refrigerator. The process of ripening will stop if you keep it in a cold place. But if it’s already ripe, it won’t be of a much use anyway, so putting it in your fridge is not that big of a mistake. One thing that will cause garlic to sprout is putting it in your fridge. The appearance of mold can’t be avoided. If this happens, you can throw it right in the trash. Placing them within the refrigerator will change their look and you won’t be able to tell if garlic is still good to use. You will have to slice them open and then estimate. Did you know that ketchup can stay unspoiled for years? It uses preservatives that are added to this cause in particular. Because of this, you don’t have to worry about leaving it out of the fridge. It doesn’t matter if it’s closed or already opened. The spoiling of your ketchup is something you really don’t have to worry about. When canned, tuna has a lot of preservatives within it. This means that it’s literally meant for long-term exposure to room temperatures. Those compounds make the notion of keeping it inside of your cupboard completely fine. In other words, tuna tastes much better this way than taken out of a fridge. Sometimes the little details count. Cold temperatures can do a lot of damage to citric acids. Lemons and oranges are pretty much full of it. Therefore, keeping them in a refrigerator is nowhere near a wise decision. They need to ripen in natural temperatures. Some common signs of unhealthy ripening are strange spots on the skin, as well as discoloration. In order to fully enjoy cucumbers, it’s best to keep them at room temperature. Overly cool temperatures have a tendency to speed up the decay of cucumbers. Any dry or cool place will benefit their overall ripening and development in general. They can last up to seven or so days in cool and dry conditions. Don’t worry. Cucumbers and carrots share this same characteristic. If you leave carrots within a fridge, you may encounter rotten and water-filled ones in a few days. They are to be kept in absolute darkness, away from any moisture or sunlight. It’s worth rearranging your placement of things a little bit. Well-kept carrots place are incredibly important for our organism. Chocolate also doesn’t have to be in the fridge at all times. There is an exception, and that is when temperatures are high enough that it can melt. Other than those extreme conditions, there is no reason to worry at all. In fact, many chocolates experience a different taste once they are placed in cold and humid places. Never put an opened bag of cereal in the refrigerator. It doesn’t need low temperatures to stay fresh and crunchy. This is a common, but widespread misconception. In fact, the truth is quite the opposite. In order to be able to keep the cereal in its best state, you should keep it away from moisture. You won’t like soggy cereal, trust us. People will cast strange glances in your direction if you wish to store this type of meat in the pantry. In fact, it’s the best possible decision you can make. 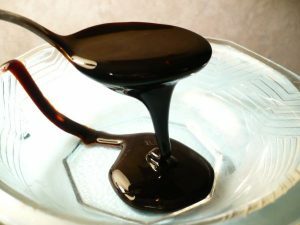 Molasses in general are consisted of sugar. Therefore, it’s pretty much safe to store them at room temperature. You shouldn’t stress yourself about their state. They can last for as long as 11 years. Both of them can be stored in fridge or can be left out in the open, depending on your preferences. The quality will remain the same and the taste won’t be spoiled. The only thing that is possible to suffer changes is the color. You should be careful not to leave them exposed to direct sunlight. Unfortunately, jam isn’t all natural. It’s tailor-made with lots of preservatives in order to be able to withstand immense amounts of time. Fortunately, this means that it requires almost no refrigeration whatsoever. By keeping it in the fridge, you can only damage its texture and make it even more unpleasant for eating. We don’t quite understand this notion. It’s obvious that keeping spices in the fridge doesn’t do anything but steal away precious space. Ground spices don’t belong there. Their place is in the pantry, where you can peacefully keep them. If you don’t believe us, you can see spices on the shelves in just about any store. You can cross salad dressing off the fridge list as well. They are usually made out of vinegar or oil. These two substances have no need for being kept in a cold place. However, the only exception is homemade dressings. Fruit juice, nut or garlic all need refrigeration. Even though those dressings are okay in the open for some time, don’t overdo it. While it’s true that apples last longer while in the fridge, there is no need for putting them there. While at room temperature, their enzymes are a little bit active and decay is a bit faster. Even then, apples are pretty resilient pieces of fruit. They can last up to two weeks at room temperatures. It all depends on how fast do you plan on eating them. Pears aren’t like other types of fruit. They have one special ability and that is that they don’t ripen while on the treat. If they’re at room temperature, they can reach the ripening slowly. The riper they are, the tastier and sweeter they will be. By exposing them to cold, you take away their freshness and dull their taste. These two staples of our kitchen don’t need to be put in the fridge. Acids with whom they are filled with have a preservative. All types of mustard can last much longer if they are placed in a cabinet. Also, where you place them depends on whether you prefer warm or cool ketchup and mustard on your food. Fish sauce can last for about 2 or 3 years while soy sauce lasts one and a half. Because soy sauce is fermented, it does not require a cold temperature to maintain freshness. On the other hand, fish sauce can change its flavor so maybe putting it in a fridge is not that bad of an option. It will surely be safe to eat. Another popular food myth debunked! There is no correlation between keeping peppers in the fridge and their freshness. If anything, a refrigerated environment brings forth many other disadvantages. They can lose their color and much of the unique taste. Before putting them in the fridge, just think of a good dry and cool place. That’s simply enough. Eggplants are sensitive, especially to the sunlight. That is why you need to keep them at room temperature. When put in a fridge, both flavor and the texture can be harmed. In case you like cold eggplants, you can store them within a fridge but make sure you use them right away. This fruit has the best taste when it’s left out of the fridge. Such a claim is even more accurate if you want to consume it right away. Pineapples can last for several days or even longer if the surroundings are suitable. If you don’t have a plan on eating it now, maybe a fridge is the best option. This sort of food is available year around. When you buy it, leave it out until you see its colors changing. If you place it in the fridge, you will ensure that the ripening process goes slower. One other thing that you can do is slicing it into pieces and storing them in a freezer. The effects that fridge has on sweet potatoes are many. Such storage makes them harder to prepare and they can even change their structure. The best place for them is somewhere dark, with good ventilation. Strong heat can make them go bad very fast. It’s important to know that beans are legumes and green beans are seeds. When we talk about fresh dried beans, there is no expiration date. You can keep them anywhere and use them anytime. A fact that is important to know is that green beans are prone to losing taste and flavor. This is only the case if we keep them out for a long period of time. There are many different opinions when it comes to storing this delicious food. Some say that we shouldn’t keep them in the fridge because they can get soggy and stale. Many people would disagree. It depends on a type of donut. Some of them, such as glazed ones, can get sticky very fast. One thing that is sure is that you can’t go wrong with choosing room temperature. The acidic nature of vinegar helps with self-preservation. There is no need to put it in the fridge. A kitchen cabinet can be an excellent choice for storing it. Vinegar will remain untouched for a long time. Just be careful about one thing. If your vinegar contains herbs, garlic, onion or shallots, you need to put them in the fridge. Most people think that every kind of meat needs to be refrigerated. However, salami is not one of those kinds. Its ideal storage place is shelves in the kitchen. It requires the presence of air and the fridge does not provide that. Just to be sure, check the label on your salami and search for the line ‘keep refrigerated’. As every other milk product, we consider that cheese belongs in the fridge. This is not always the case with this one. The crucial difference is a cured production with a better texture. Also, keeping aged cheese in the fridge can make it even harder than it should be. Keep it wrapped to ensure their moisture remains untouched. There are many kinds of olives. The ones that do not require being refrigerated are canned olives. If you want to keep them there that is not a mistake either. Put them in a place where there is no sunlight or heat. Right after you open them, store them in the fridge without a can. The thought that meats belong in the fridge has been proven wrong again. The reason for this kind hides in its making. A large amount of the moisture from the beef jerky is removed. Therefore, we are able to keep it on the shelf. Again, you should pay attention to the labels. Right after coming home from a store, we automatically put yogurt in the fridge. That is how we’ve learned. What some of us don’t know is that yogurt is made of bacteria and microbes. As long as we don’t open it, we can keep it outside of a fridge without any concern. The question whether we should keep butter in or out of the refrigerator still remains unsolved. Salted butter is a type which has less chances of hosting bacteria growth. It is made with pasteurized milk so bacteria are not going to be that inclined to attack it. Weeks can pass by and your butter will stay the same out in the open. Potato chips behave similarly like crackers. They are completely devoid of fluids and can react badly to any sort of moisture. Your fridge is the hotspot for all kinds of moisture. When you take your chips out of the fridge, you will notice how moist and soggy they’ve become. Storing them in such cold is extremely unnecessary. Crackers are actually “allergic” to excessive amounts of moisture. Therefore, the fridge is not an option for them. A good alternative would be a kitchen cabinet or the pantry. Any other choices that include dryness and a cool temperature are in circulation. Just don’t expose them to moisture, as they will get soggy and stale. Milk? Out of the fridge? Yes, it is in fact true. UHT here stands for Ultra High-Temperature Pasteurization. This special type of milk is heated multiple times to kill more bacteria. Without these types of bacteria, you can keep it much longer. In fact, it has a shelf life of up to six months. Moreover, this type of milk is excellent for those that wish to use it for longer. Around the internet, there is false advice about flour floating around it. Some people claim that flour will spoil unless you keep it in the fridge. This can’t be less true. Flour is extremely resistant to all substances. Therefore, it is quite enough to keep it in a dry and cool place. Your cupboard is completely up to the task at hand. Commonly referred to as lady’s finger, okra is consumed in a variety of ways – from fried okra to pickled okra, and more. But, have you ever wondered just what it is that small, green vegetable does to your body? 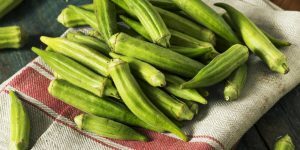 Okra and Cancer: From breast cancer to pancreatic cancer, this is the “c” word that nobody wants to hear when they visit their doctor… But, okra has been found to act against breast cancer cells in various preliminary lab studies. Okra and Diabetes: Okra has been found by several studies to be a food which contains potent blood glucose-lowering abilities. Traditionally used as an alternative treatment for diabetes, it is believed that a large amount of soluble dietary fiber found in okra is what gives it this ability. Basically, the blood glucose-lowering agent in the okra delays the glucose absorption from the gastrointestinal tract. Okra and Depression: Depression affects millions of adults in the United States alone, and oftentimes, there is no direct cure. However, okra might sustain the ability to fight this chronic illness. It has been shown that a healthy diet improves your mood, especially when it consists of fruits and vegetables that contain mood-elevating antioxidants such as quercetin and flavonoids. While there is no known record of okra’s antidepressant ability, it does have a high antioxidant content. Researchers have extracted the high concentrations of antioxidants and found that it contains the same levels as blackberries and blueberries, the most powerful fruits, and berries. Of course, okra is not just a cure-all vegetable, but it does show many signs of being a valuable item in our diet and in our health. After a few studies on diabetic mice, the results showed that okra seed extract acted as a powerful mood-elevating agent and performed as effective as imipramine, the anti-depression drug, in fighting chronic depression. Because of the difficulties and complications related to diabetes, many patients who suffer from diabetes also go on to suffer from depression as well. So, okra appears to be a powerful vegetable that could not only improve a patient’s physical well-being but also their mental well-being. But, even without diabetes, okra is a great, healthy snack to be munching on to help increase that “happy hormone.” It can help lower blood sugar and cholesterol, among the other benefits it offers. There is finally good news for those who find themselves questioning if they should throw out some of their untouched grocery items or not. If you are one of those who throw your food away the second it hits the first date you see on the package, you are probably wasting plenty of still edible food and spending way more on groceries than is necessary to replace them. It is almost guaranteed you are throwing your items out too early. Unless the best-by or use-by date is followed by “for safety,” these dates simply refer to the quality of the product, not the safety of eating it. If you eat it a few days past this date, while there is a chance it might not taste as fresh as it would if you ate it on the day you purchased it, chances are, it is not contaminated. However, do take into consideration that if the product has been opened, that date does not take into consideration the things it might have been exposed to from your environment. Don’t judge by taste or smell. But, disease-causing organisms and other bacteria are invisible and aren’t behind spoilage problems. So, just because your week-old cheese does not look or smell funny, does not mean there aren’t harmful bacteria lingering on it. Each manufacturer uses a different label. 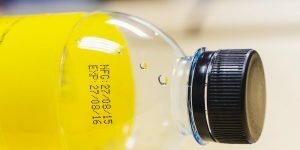 While many are pushing to require the use of the same label to avoid confusion, currently, manufacturers can decide which label they use. So, that means some of your food has a use-by date while others just have a sell-by date. But, when you find yourself running to the bathroom every few minutes because you can’t keep your food down, your stomach is doing cartwheels, and you just feel weak all over – how do you know whether you have eaten something spoiled or picked up the terrible bug? Typically, the most effective way to determine the difference between the two is to actually look back at the ill person’s recent history, Dr. Rice said. “If the symptoms are caused by food poisoning, they tend to occur within hours of eating something,” says Rice. So, this means, if you can recall recently eating something questionable or know of others who ate the same food and are experiencing the same symptoms, it is safe to say that food poisoning is your diagnosis. But, if you haven’t eaten anything questionable and are the only one to have picked up the illness, it is likely you have contracted something else, such as the flu. You more than likely contracted it via a handshake, sneeze, or something such as a contaminated doorknob, for example. The “stomach flu,” formally known to doctors as acute gastroenteritis, actually is not caused by the influenza virus. 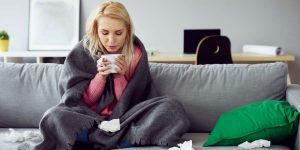 The influenza virus which leaves most people experiencing the same symptoms around this time of year is actually a respiratory illness. On the contrary, the stomach flu is brought on by other common viruses that lead to GI issues. The effects of infections like these actually start one to three days following exposure to the virus. When it comes to treatment for these symptoms, regardless of where they came from, Rice says they could actually be one and the same. “Anything involving vomiting and diarrhea can lead to dehydration, so you want to make sure you’re drinking water or a rehydration drink, like Pedialyte or a sports drink,” says Rice. If the infected person begins showing signs of serious dehydration such as dark or decreased urine, muscle cramping, or lightheadedness, that is a sign to seek medical attention – likely an IV to replace the lost fluids will be required, said Rice. If you find yourself still feeling the symptoms after two days, or if during the period of illness, you have a fever over 101 degrees that doesn’t break in a day or two, you should seek medical attention. An iconic appliance in most kitchens – great for toasting nuts or cooking single serving size dishes – is the microwave oven. It all started when a magnetron – a special tube that produces microwave power – was created in World War II by two scientists. When combined with the radar system of Britain, this new invention was found to have the capacity to locate Nazi airplanes and even foil an attempted bombing. However, it was also discovered a few years later that this appliance could do more than just locate planes – it could cook food. Percy LeBaron Spencer, a member of the military industrial complex known as Raytheon Company, uncovered this valuable piece of information after radar waves melted a candy bar he kept in his pocket. Eventually, this new-found knowledge led to the creation of the Radar Range, the first microwave oven, which was produced in extremely large portions. While you might not be that interested in how the cooking mechanism for your Ramen Noodles came about, it’s history is vital to understanding why so many researchers object against their use nowadays. Just a mere 10 hertz of frequency could endanger your health, therefore, you should always steer clear of a microwave while it is on. Confirmed by numerous studies, known side-effects of microwaves include birth defects, cataracts, weakened immune systems, and even cancer. In addition to the health threat they pose, microwaves also show some negative effects on your food such as eliminating the nutrients from it, deforming and destroying the food molecules which leads to the creation of harmful radioactive compounds, increasing cholesterol levels, increasing leukocytes, and depriving it of its antibodies – among several other things. Even though a microwave is a common household appliance, it still puts its users at risk of exposure to dangerous levels of electromagnetic fields (EMF), which enter the body and could lead to several severe health issues. Undoubtedly, microwave ovens pose a great risk to your health with an exposure of 100 to 500 mG possibly with a distance of only 4 inches. To put that into perspective, the recommended maximum exposure is about .5 to 2.5 mG. While there is no denying that microwave ovens are a fast and convenient way to cook your food, there is also no denying the serious threat they pose to the health of you and your family. In fact, it is one of the most addictive ingredients in the population – most popular just as a day to day sweetener. 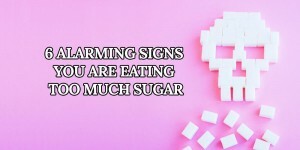 While you might not readily attribute some of your “problem spots” to an excessive intake of sugar, you might actually be ignoring the very warning signs that you are eating too much sugar. That muffin top that will not move or those belly problems that seem to be an increasingly regular part of your day might be your body’s way of letting you know it is time to reevaluate the amount of sugar you are consuming. The body is an intelligent being and knows how to send a signal when something is not right – but it is up to you whether or not you listen to that signal. Wrinkles: An excessive consumption of sugar affects the quality of the elastin and collagen in your skin, two proteins which give your skin its strength and elasticity. Sugar does this by generating a process called “glycation” which means the glucose and fructose bind to the other proteins and lipids, accelerating aging. Painful teeth: Cavities are caused by a number of bacteria that live in the mouth which feed off of sugar. So, by excessively consuming sugar you are just continuously feeding those harmful bacteria. Anxiety: Similar to a drug addiction, sugar creates a pathway in your brain when you eat it and your brain rewards with pleasure. The more you eat, the more you crave. While sugar does not necessarily cause anxiety, it does worsen it as it impairs a person’s ability to cope with stress. Inflammation: On average, people consume more sugar than their body can actually process. Your body literally cannot keep up and you are eating sugar faster than it can process, resulting in an increase in the levels of cytokines – the pro-inflammatory messengers. Intestinal problems: Too much sugar can cause a system malfunction in your digestive system which can result in intestinal leakage, inflammation, and several other uncomfortable situations. Sugar affects the body in a variety of ways. While you cannot avoid it altogether as it is found naturally in several things, such as fruit, you can greatly decrease your intake by checking the nutrition facts on foods. Oftentimes, people think that a stroke happens overnight – wrong. Sufferers often experience numerous warning signs from their body prior to the event, however, they fail to understand them. 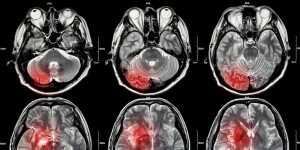 A condition in which the blood stops flowing in the brain, causing the cells to die off, is known as a stroke. While strokes are commonly seen among the elderly community, latest reports suggests that over 35 percent of all those who suffer a stroke are under the age of 65. A few contributing factors include high cholesterol levels, hypertension, and smoking. But, what are the warning signs that could save your life? Severe headaches: A clear sign of a stroke is a sudden headache. Oftentimes, it is similar to a migraine, but unfortunately, most people can’t tell a difference. If you notice anything strange, ask for help – better safe than sorry. Weak arms: A stroke usually results in weakness or numbness on one side of the sufferer’s body. If you notice weakness in your arms, try to elevate them above your head and make note if one of them will not go up. If one arm drops, it is a common sign that a stroke is coming your way. Slurred speech: A well-known sign of a stroke is slurred speech or the inability to speak clearly. If you notice this in yourself or someone else, try repeating the words to address the condition. Imbalance: According to experts, stroke victims experience coordination issues and imbalance. If you think you might be experiencing these warning signs, try to touch your finger to your nose and walk in a straight line. Can’t do it? Call 911. Confusion: Unexpected confusion is a common sign of a stroke, according to the Stroke Association. The sufferer might experience an inability to understand people or might show reduced mental ability. While strokes are not completely avoidable, being aware of the contributing factors and especially the warning signs could save a life – whether it be your own or someone else’s. If you find yourself experiencing any of these symptoms, and think a stroke might be a possibility, seek help immediately to ensure the best outcome. The sooner you get help, the better your chances are of a full recovery. It is better to be safe than to be sorry you did not ask for help sooner. Mental illness continues to be difficult to understand and diagnose, but society and medicine has come a very long way in the past several decades. Bipolar Disorder (also referred to as Manic Depression) involves radical changes in energy, mood, and activity levels, with periods ranging from being extremely “up” to falling very, very low. Often the episodes of mania and depression follow in succession, but some people may present with signs and symptoms that occur together, so features may be difficult to diagnose. If you are concerned that you or someone you care about is experiencing these signs and symptoms, it is critical to consult with a medical professional. Feelings for those struggling with hopelessness in a depressive episode may describe it with words such as emptiness, worthlessness, or despair. This may manifest itself through being in a sad mood, tearful, feeling inappropriate guilt, or simply feeling down and empty. This may also be expressed as irritability, particularly in children and teens. Because the most common place for a blood clot occurrence is in the lower leg, learning about what to expect if you have one could truly save your life. Blood clots in the leg (also commonly known as Deep Vein Thrombosis or DVT) can lead to complications that include life-threatening complications such as pulmonary embolism. Clotting or coagulation of the blood in any part of the circulatory system is referred to as “thrombosis”, more commonly known as a blood clot. This can be caused by poor health habits, but the tendency toward blood clots in the legs may also be hereditary. People who are unwell, aged, obese, or are not able to move around a lot are particularly susceptible to developing blood clots. Symptoms of a blood clot will partially depend on the size of the blood clot, how long it has been present, and how severe it has become. A blood clot in the leg can be easily confused with other medical conditions such as a sprained ankle or pulled muscle. Following are the top signs and symptoms that you may experience if you have a blood clot in your leg. If you experience them, particularly if they come on suddenly, you should call your doctor right away. A minimal redness or discoloration of the skin may be one of the first signs that a blood clot is beginning to form (deep vein thrombus). 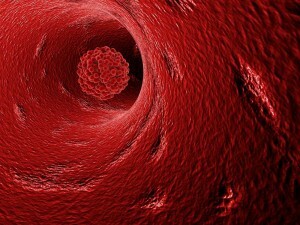 As dense sections of blood develop below the surface of the skin, they grow in size and become visible. Persistent red patches of skin in the legs, particularly after surgery or an injury, should be mentioned to your doctor in case there is some reason for concern. Another type of discoloration could be that your leg begins looking pale, bluish, or dusky in color.